Former High School Football Coach: “Hell, a team with ineffective and inexperienced quarterbacks plus an inexperienced defense is going to have a Helluva tough time winning football games and it’s clear based upon the number of mistakes that the Auburn QBs and defensive players are making that it is primarily caused by inexperienced players and coaches that are not quite getting through to their players on what they are supposed to be doing. Malzahn’s offense is just not going to work unless his QBs start making faster decisions and neither QB right now has enough experience or confidence to make those faster and what must be correct decisions. The game is just too fast in the SEC these days and if I was defending the Auburn offense I would go all Bebes Stalllings and work hard to put tremendous pressure on the Auburn QBs and receivers. 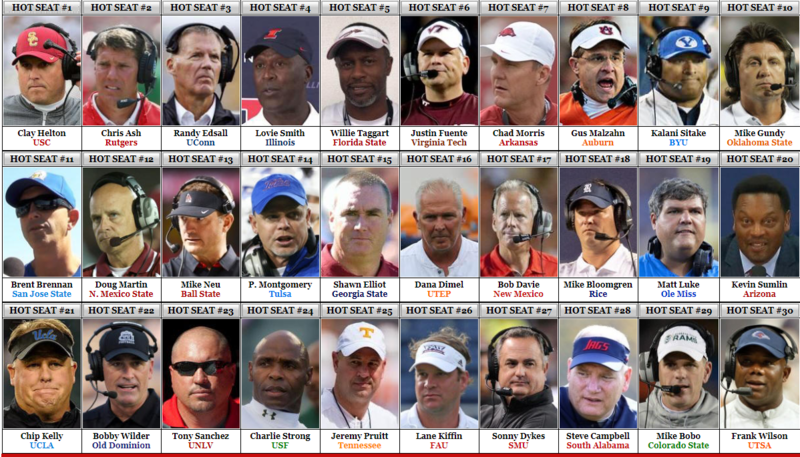 Coaches Hot Seat: What about the Auburn defense? Former High School Football Coach: They played better against Mississippi State but State QB Prescott made lots of mistakes that cost his team lots of potential points and if I am seeing the mistakes that the Auburn defenders are making…sometimes the same mistakes over and over again…then for sure other SEC defensive coaches are seeing them too. Hey, let me ask you guys…what is Auburn’s record from the loss to Mississippi State last season until right now? Coaches Hot Seat (Looks it up on Internet): Auburn has played 13 games from the Mississippi State game in 2014 until right now and they are 6 – 7 overall and 2 – 6 in SEC play. Why do you ask? Former High School Football Coach: Call up the Auburn – Mississippi State game from last season and let me show you the places where the Auburn offense began to breakdown against the Bulldogs last year that has continued on into this season. 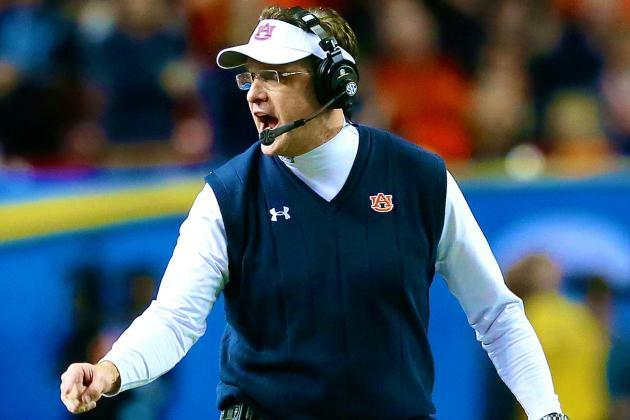 Let’s not forget going into the Mississippi State game last season Gus Malzahn’s record at Auburn stood at…. ….and his record in SEC stood at…. What did our Former High School Football Coach see was breaking-down with the Auburn offense against Mississippi State last year that he says has continued to worsen into this season? Let’s just say that what he saw is FUNDAMENTAL to running the football and FUNDAMENTAL to playing winning football and the Auburn offense has gone from being very good at this FUNDAMENTAL thing in 2013 and early in the 2014 season to being very average at best at doing this FUNDAMENTAL thing in 2015. Whatever the problems with the Auburn offense there is one Damn thing we know for sure…. Kentucky is a CANNOT LOSE game for Gus Malzahn and the Auburn Tigers because with these games left after the Wildcats…. …if they lose to Kentucky and if that doesn’t put the pressure squarely on Gus Malzahn and his football team then NOTHING will and we are going to be fascinated to see how the Tigers respond to all that pressure. 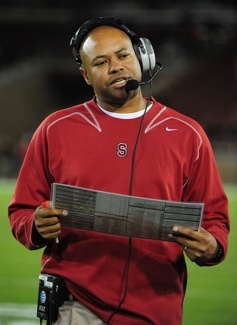 1-Star Admiral: “It’s rather simple really Boys and it starts with…..
….and as of right now the EDGE is back on The Farm for Stanford Football and the Coaches Hot Seat members gathered in Palo Alto for tonight’s UCLA – Stanford game will be fascinated to see if David Shaw and the Cardinal can keep things rolling. If Stanford Football has designs on winning a THIRD Pac-12 Championship in FOUR seasons and getting into the College Football Playoff then very simply…. …and we fully expect to see the Cardinal come out and play like men possessed against the UCLA Bruins. Curtis Johnson, Tulane vs. Houston – Coming off a 49 – 10 loss to a rapidly improving Temple football team Tulane head coach Curtis Johnson and his football team needs a WIN in the worst way but beating a Houston team that is scoring points like the Baylor Bears is not going to be an easy thing to do but that doesn’t change the reality that…. Houston is a MUST WIN Game for Curtis Johnson and Tulane! Tim DeRuyter, Fresno State vs. UNLV – People that have not been to Fresno, California like we here at Coaches Hot Seat have thousands of times while passing through the Central Valley of California during our lives on this Earth certainly don’t understand what a depressed and often depressing place that Fresno can be and why the Fresno State head coaching job is not an easy one because in a sport where the Head Coach can NEVER LET UP it’s not always easy to keep plowing ahead in a place like Fresno. 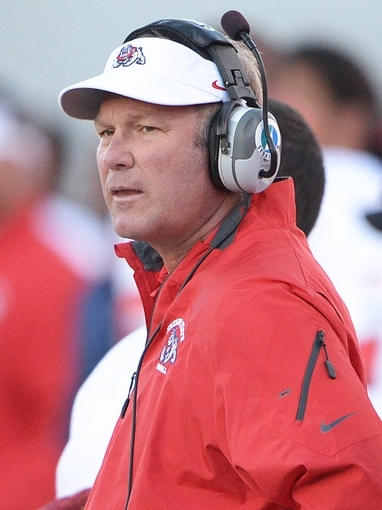 Oh Man…YES….UNLV is a CANNOT LOSE game for Tim DeRuyter and Fresno State!